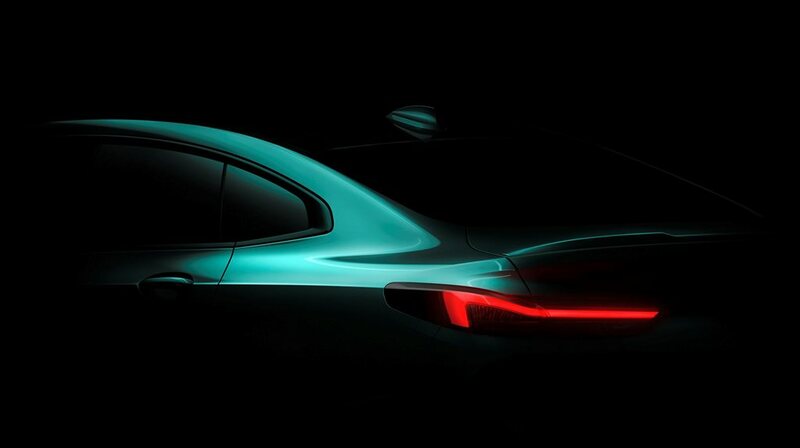 BMW has previewed its latest 2 Series spinoff, the Gran Coupe, with a single sketch ahead of its debut later this year. The four-door coupe will finally give BMW a rival to Mercedes-Benz’s CLA in the small-but-classy sedan stakes. Pitched as an alternative to the four-door sedan, BMW will show off the 2 Series Gran Coupe at the Los Angeles motor show later this year. The 2 Series Gran Coupe will be built on top of a new small car platform that will be shared with the X1, the incoming 1 Series and the next generation Mini Countryman, and it will be built in both front-and all-wheel-drive. Given that the new 1 Series is also built on the predominantly FWD platform, it means that the 2 Series Gran Coupe can be regarded as a 1 Series sedan of sorts. The 2 Series coupe and convertible aren’t expected to switch from rear-wheel-drive in the medium term. BMW Australia has confirmed that it’s looking at the Gran Coupe – which we caught testing last year - for its local roster. Details are scarce around specifics ahead of its debut in October, of course, but it’s not hard to figure that the four-door coupe – also referred to as a ‘notchback’ in BMW’s release – will share engine tech from BMW’s current small and medium car range. It will share much of its tech with BMW’s all-new 1 Series, as well, which is set to debut at the Frankfurt Motor Show this year. This is expected to include a digital dashboard/multimedia display arrangement not dissimilar to the Merc A-Class range, advanced driver aids and plenty of turbocharged engines. For example, the 225kW/440Nm 2.0-litre turbocharged four-cylinder petrol engine from the X2 M35i xDrive (above) would be a shoo-in, as would its all-wheel-drivetrain, producing in the process a handy rival to Merc’s A45 AMG range. More pedestrian front-wheel-drive BMW powertrains would include a turbocharged 1.5-litre three-cylinder powerplant with a more civilised 110kW tune.